Marcelo Buron tee. Stylestalker pants. Heels (similar here). With streetwear, it's rare to come across a piece that is truly unique and surprising. Everything's been done before. 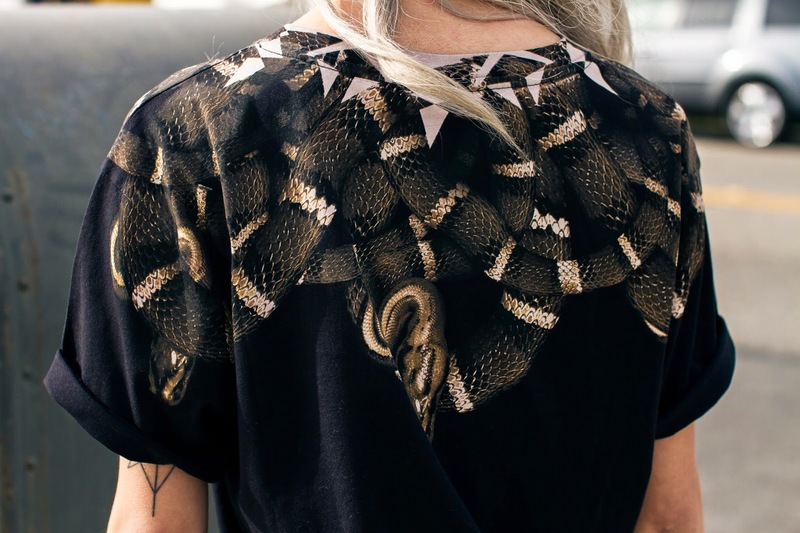 But Marcelo Buron via Backroom wowed me with this realistic snake print tee in an oversized shape. You can roll up the sleeves and tuck in one corner of the shirt's hem for a more put-together feel or you can leave everything unrolled and untucked and pair it with thigh high socks or boots. Happy Easter, little bunnies! I hope all of you have a fantastic day. I'm spending my day hunting for eggs and going down a slip 'n' slide with my friends so I know I will. What are your plans? Amo tu cabello, y tu estilo me encanta!! Yo, those pants are seriously the bomb. Yes, girl. I love the whole look! Amazing colour combination. You look flawless! 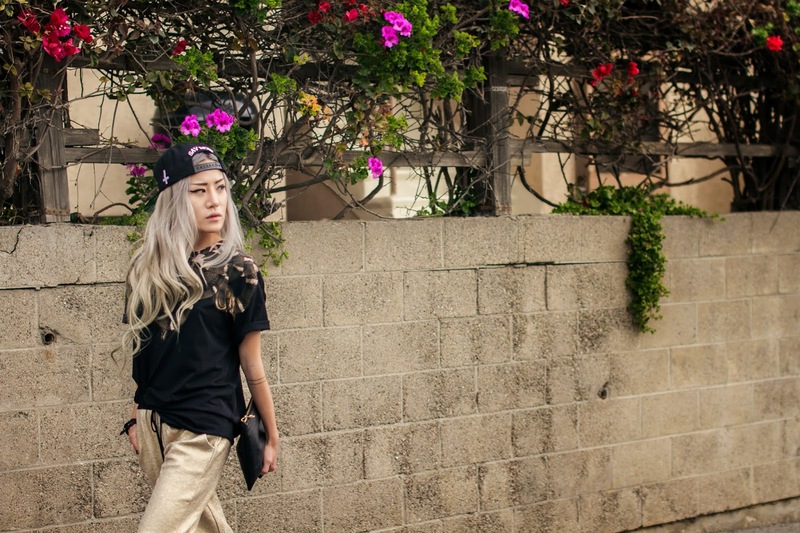 Love the way the gold pants add the vibe to the outfit. The top is definitely unique too!